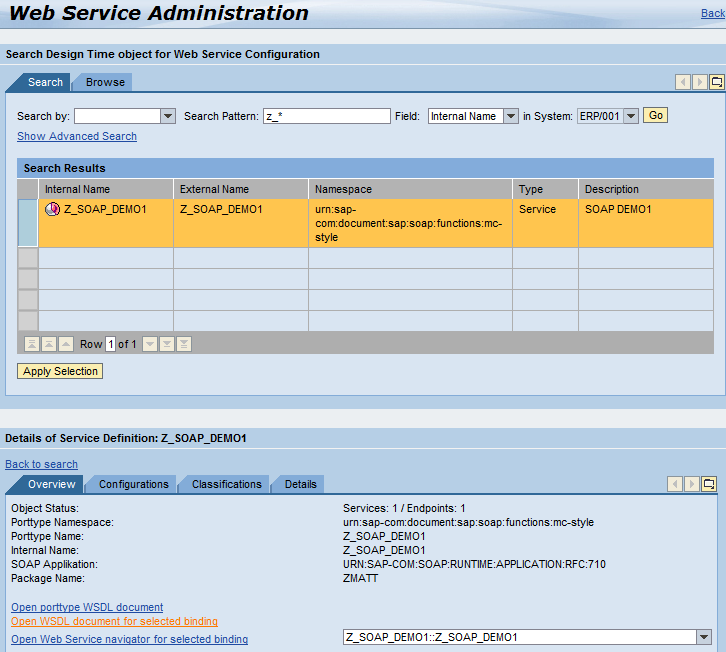 Business administration – Web Service Administration. 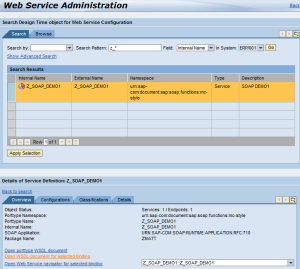 Find your web service and choose the Overview Tab. Get the WSDL URL from the link “Open WSDL document for selected binding” Optionally you can also setup authentication here. 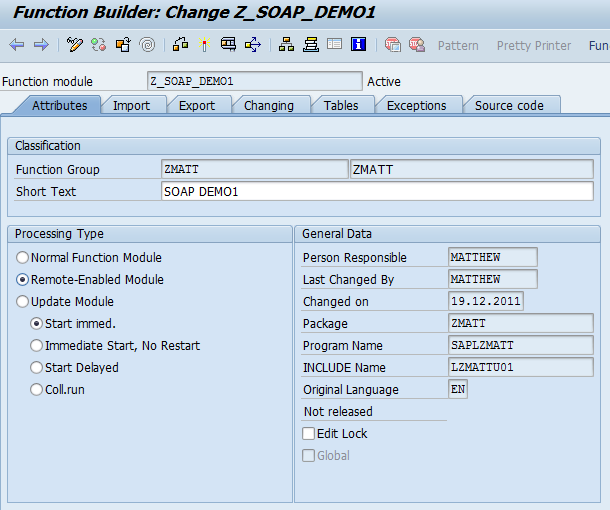 Most installations have SOAP compiled in or enabled by default. 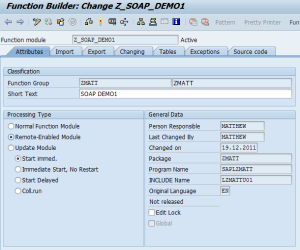 This entry was posted in SAP by matt. Bookmark the permalink.